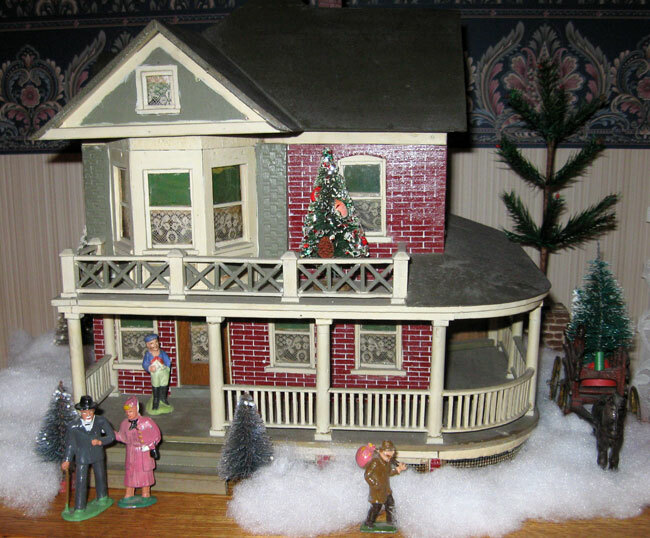 Earlier this year, we posted pictures of this fantastic miniature house that Jim found at a local flea market. Here it is all dressed up in its Christmas finery. We considered it a fabulous find when Jim first brought it home, and as 2012 winds down, we’ve decided that it’s our favorite find of the year. This entry was posted in 1900's, Americana, Carol, Christmas, Hand Made, Holiday, Miniatures. Bookmark the permalink.